Because the Abbey Guest House, Norwich, U.K. is situated in the Norwich City Centre and near the Norwich Train Station, it is easy to access many attractions, events venues, conference places and most of them are walking distance. Norwich Theatre Royal, Norwich Bus (Coach) Station, Norfolk Record Office: about 20 minutes walk. Abbey Guest House is along the bus route to the University of East Anglia (UEA), Norfolk and Norwich University Hospitals NHS, Norwich Research Park and the John Innes Centre which is approx 30 minutes bus journey. Petans Norwich and Norwich Airport: about 20 minutes drive. By driving from the East, South or North of the Norwich city, please follow signs to the Norwich Railway Station. 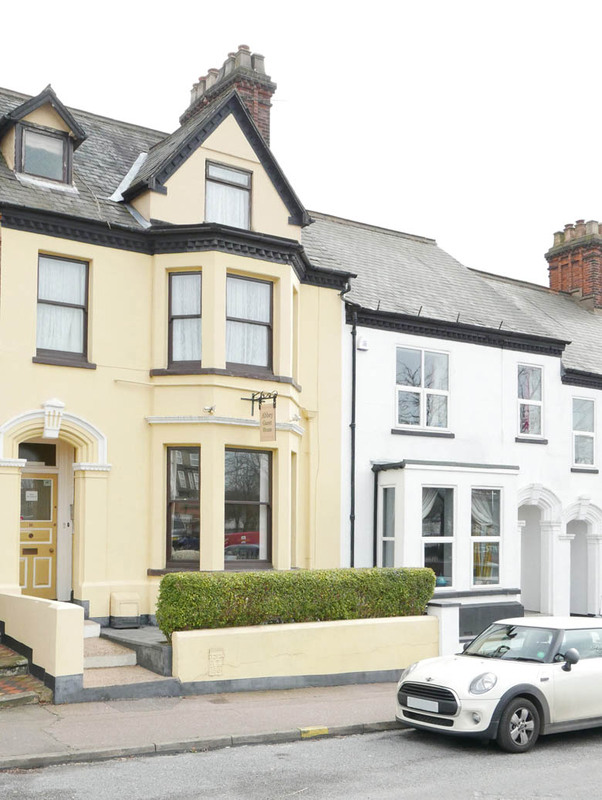 Continue past the Norwich Railway Station along the Thorpe Road then take the second turning on the right, Abbey Guest House is situated at the middle on the Stracey Road, where a yellow house is.